Related inscriptions on this site: IG II² 1325, 1326. 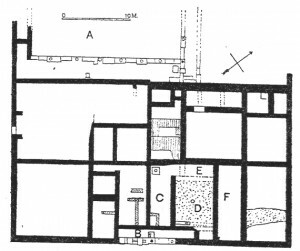 Description: Located due west of modern Plateia Korais, the remains consist of (1) a large rectangle (40 m x 23 m) with many rooms on the eastern side and (2) a courtyard (A) surrounded by a colonnaded hall (21 x 15 m) to the west with eight columns on one side and an unknown number on the other. The courtyard is at a lower level and the two parts were connected by a staircase. 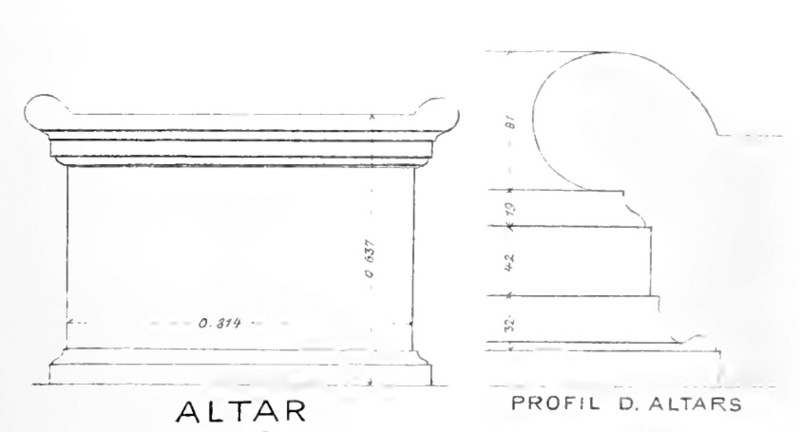 The entrance to the building was at the southeast through a vestibule (B, in the plan from Rider), which contained a rectangular altar (see architectural features below). From here, one entered into the south hall (C). On the west and north of the small court (D) there were two other halls (E and F). 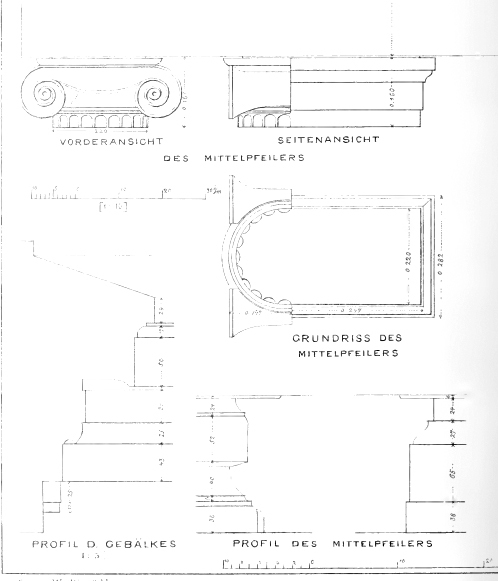 It also included a window with a rectangular frame intersected by Ionic columns that Garland (2001, 146) calls “the most remarkable” found from the Greek world (see architectural features below). This feature indicates the wealth and importance of the building. 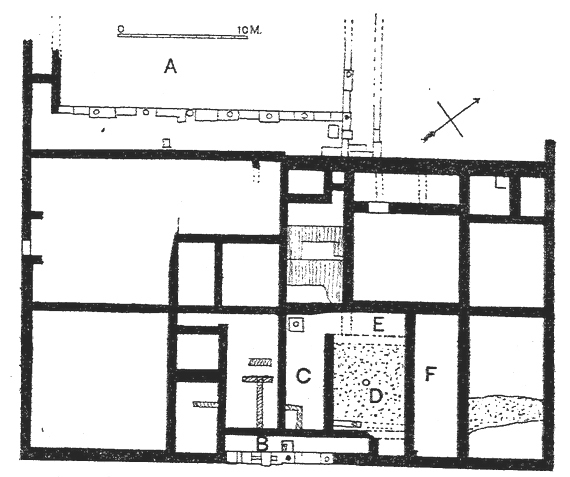 The excavations suggest that a large house was converted for use as a temple. An inscription seems to describe the construction and beautification of this very structure: “Agathokles of Marathon, who was appointed as treasurer (tamias) by the Dionysiasts for many years, and who accepted from them the priesthood of Dionysos, both constructed the sanctuary of the god and beautified it with many beautiful votive offerings and for this purpose expended no small sum of money, and also contributed one thousand drachmas to the treasury so that they might obtain from its income the means to sacrifice monthly to the god in accordance with ancestral traditions” (IG II² 1325). From Rider 1916, 223. Public domain. 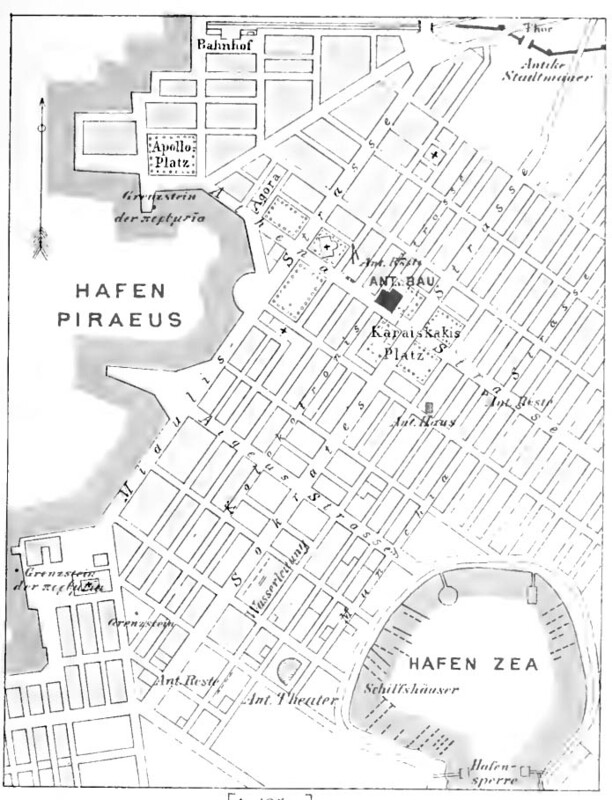 Location of the building of the Dionysiasts. From Dörpfeld 1884, plate 14. Public domain.